Pro Audio Service provides workshop based and In House sound system repairs and Installations. We undertake professional electronic audio amplifier repairs to all types of electronic and electrical equipment from Guitar Amps, Bass Amps, Power Amplifiers, Valve Amps, Mixing desks, Powered Wedges, Lighting and Effects, Fog machines, Hazers, Speakers, Monitors, powered speaker systems, Instruments, keyboards and also repair ‘in house’ systems in Halls, Churches, Theatres, Venues and other Installations. Pro Audio Service limited have over 25 years experience in the music industry and undertake to provide a professional cost effective service, whether you are just using us for a PAT test of a few appliances or have commissioned us to install a 10K in house PA system or repair that favourite classic valve guitar amplifier.. Fast pickup and delivery service for repairs. Modification and repair of guitar electrics, basses and pickups. Telephone for a no obligation quote 01530 589320. 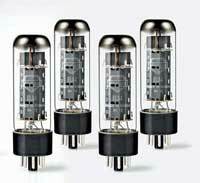 We can source parts for most makes of amplifier and are experienced in repairing both transistor and valve amplifiers to component level on most designs from class A to class H. We can fine tune your system to give optimum results. We will turnaround your repair within 7-10 days. 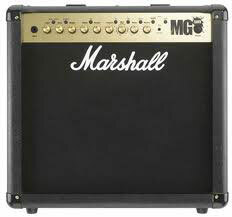 Vintage and Modern valve guitar and bass amplifiers require matched valves to optimise performance and sound. We can digitally match or check vacuum valves using our computerised valve matching equipment. If you are unsure of the state of the valves, bring them in and we will be happy to check them for you. We can measure plate current, transconductance and gains for most common tubes. Pro Audio Service provides a maintenance contract for venues where we service equipment as a preventative measure against failure. This involves removing amps and equipment, cleaning filters and fans, and testing before replacing in the rack. We check connections on leads and perform a final electrical safety test to ensure reliable earthing. This prevents unreliability and consequential bills from component failure due to overheating due to fan failure or airway blockage. Many pro audio amplifiers can run into hundreds of pounds for repair, so we recommend an annual service ( out of hours where possible ). Please contact us for details. We provide a specialised portable appliance (PAT) test for customers ( bands , entertainers, Djs ) where we are sensitive to the nature of the equipment. We provide tests that will not damage your valuable equipment and also free on site repairs where possible for failed items. Pro Audio Service undertakes repairs to sound systems, tanoy systems, in store music systems and communication systems for commercial factory units , shops , offices , hotels and venues. We can provide complete audio visual installations and support for AV repairs , fixed AV equipment installation , sound reinforcement systems, line amplification and communication. Please feel free to let us know your AV equipment requirements. Recones and refoams to old and new speakers. Repairs to crossovers , cabinents, HF diaphragm replacement and fitting. Loudspeaker repairs up to 18″ speakers.